Natural flea treatments are sometimes thought of as ineffective methods of prevention and more expensive than traditional chemical ridden approaches to pest control. Throughout our office you can hear customer service representatives explaining to customers, yes, our natural flea treatment products are effective as they provide a contact kill and repel fleas, tick and other pesky insects. We’ve been in business for five years solely because of the effectiveness of our products and their safe use around our most delicate family members, babies and pets. 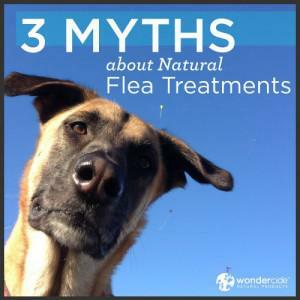 Here are a few of the natural flea treatment myths we hear around these parts. Myth: Natural, organic flea treatments are not as effective as topical spot-drops, chemical sprays, or pills! Truth: Although organic pesticides (which are often exempt from federal regulation) are not subject to EPA mandated testing, does not mean that they are ineffective. The pesticides used in traditional spot drops are known to work their way through your pet’s blood-stream and enter their organs which can lead to neurological and behavioral disorders. Natural flea treatments are typically made as a spray to kill and repel pests by causing a pheromone interruption. When aromatic essential oils are used in natural flea treatment it acts as ammonia would to humans. This is an example of how effective natural flea treatments can be. Myth: Flea collars are a safe and effective alternative to topical spot-drops and pills! Truth: Considering fleas spend most of their time off the host, flea collars are the least effective method of preventing fleas. Flea collars also release harsh chemicals continuously and can be transferred to pet owners, subjecting them to the same residue that persists on a pet’s fur for weeks. Myth: The government (or EPA) won’t allow companies to sell dangerous flea treatments to consumers! Truth: The EPA does not assess the safety of pesticides it instead assesses the risk associated with a particular product being on the market. Take a moment to research ingredients used in common flea and tick treatments. 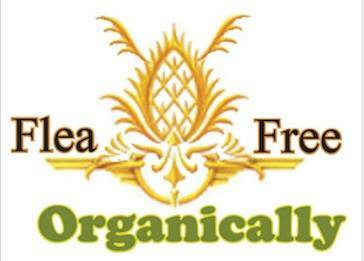 Most organic flea treatment don’t work because they have the same issues with the chemical treatments. The fleas become tolerant super fleas. there is only one I know of that works because its and mechanical rather than chemical actions. Diatomaceous earth is microscopic with a hardiness of 7, a diamond is 9/10, depending on your training. Each microscopic particles is sharp and scrapes the exoskeleton so that they bleed out and dry up. To test this jus put an ant in a shop glass and sprinkle it with a little Diotomaceous earth. after a minute or two the ant will shrink or disappear entirely, depending on how good your close up vision is. Hence, they can’t get use to this or become super fleas unless you want to wait a few million year for the flea to evolve a tougher external shield. Yes, its messy but if you consider the health benefits of using DE systemically, that is, in food to get rid of worms and heavy metal toxicity, as well as protect against heart worm in dogs and lung worm in cats, the choice is obvious. The health risks of using the chemicals in pet meds are a carcinogenic neuro toxin that will stay in your system for 12 years. It will also stay in the system of you children and anyone who touches the animal. Trans dermal application are do the most damage with OTC Hartz products being the most toxic.